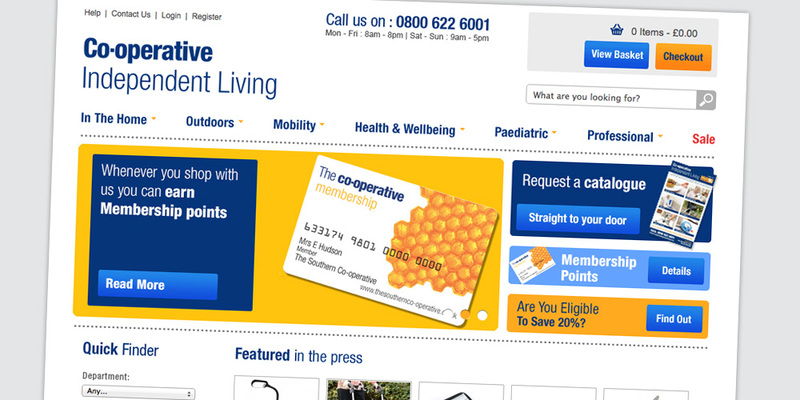 Co-op Xest has rebranded to Co-operative Independent Living with the construction and launch of a new e-commerce site with improved CMS, integrated best practice and user experience in line with research. The site manages over 1,000 lines, with Amazon and Ebay integration and cross-selling functions. We were responsible for the development programme, build and launch and the ongoing SEO and PPC activity for the site. Our creative team also provides support on other aspects of the offline promotion. The team at Precision Creative and Media is always willing to help. It is a pleasure to work with them and the additional services they offer such as the Knowledge Boost Event are particularly useful to bring us up to date with latest media trends.